‘Social media is a powerful tool.’ There is possibly no other axiom as modern as this. It has been proven repeatedly through the revolutions and social turmoil that continue to rock many countries; through political campaigns; it has been proven by superstars, athletes, monarchies, and activists as an indispensable tool to reach the masses. But what about modern community? It was not so long ago that grassroots community building was somewhat limited by geography. In previous decades it took years of building ties with other like-minded people and required a kind of dedication that would test the 21st century attention span. Today, organizing happens with the speed of the Internet. For French Canadians in the United States, Facebook forums have functioned until recently as a way for people interested in genealogy to connect with one another. And it seemed to me, as recently as a year or two ago, that the old narrative of a culture otherwise in decline was becoming the dominant message found on social media. 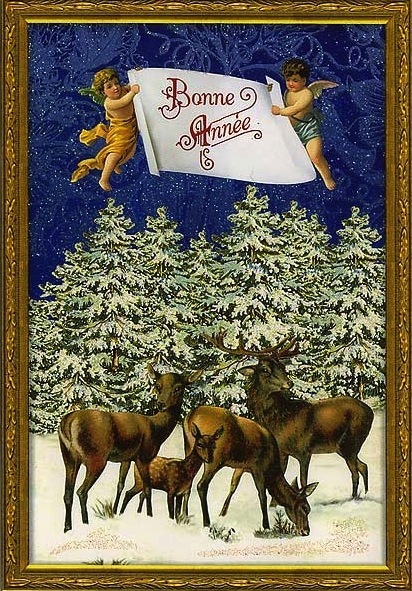 However, as we approach 2014, it is clear that our particularly French Canadian awareness of genealogy has seen a parallel phenomenon: a resurgence in awareness of the broader French Canadian cultural traditions native to communities across the Great Lakes region and in many areas of the country. This resurgence has been felt keenly through social media. It has brought many Franco-Ontarians into a deeper conversation with French Canadians of the Great Lakes states. It has highlighted the ties shared by Franco-Americans from the east, Creoles and Cajuns from the South, Metis, and French Canadians. Through social media thousands of people have joined virtual communities that provide opportunities for conversation, dialogue, collaboration, and friendship. The potential for longer-term solidarity as a community (off social media) was tested this year in Michigan. After hearing one too many times that ideas for community-building were unrealizable or unpractical, in May 2013 I decided to launch an online petition to ask the Governor and Legislature of Michigan for a French Canadian Heritage Day in Michigan. It seemed so simple — a no-brainer for the state that was at the heart of the fur trade. An ad-hoc committee soon coalesced around the idea through social media. Together we began to promote the idea through Facebook, Twitter, and old-fashioned email. Volunteers took a risk and said, “Yes – I’d like to be associated with this project.” Our efforts quickly bore fruit, with signatures increasing into the hundreds within a few days. This blog began as a way to promote the campaign and became a space for learning and participation. Through social media we were raising the profile of a community said to be in a sort of abeyance. Raising awareness of this issue began with raising my own awareness. If we understand who we are and where we come from, we can pass on something of cultural value to the next generation – grandchildren, nieces and nephews, or a community of readers. French Canadian culture and history in the Great Lakes may be an enigma to many. Yet this subculture is, beyond a shadow of doubt, a unique expression of identity and a living culture in the hearts and minds of thousands of people. One person and one committee did not create a small ‘French Canadian’ phenomenon in the Great Lakes over the course of a few months any more than ‘social media’ did. That phenomenon came out of four centuries of history, a deeply rooted sense of place, and a personal connection borne of French Canadian traditions such as respecting our ancestors, returning seasonally to our traditional foods, and reminding ourselves of our stories and lore. Social media allowed us to build energy around these ideas. To build on that energy will take time and individual initiative. It will take people saying, ‘let’s have a tourtière event in our parish hall’ or ‘let’s get some folks together to have a party celebrating French Canadian Heritage Day’ or asking a local library to devote some resources to events addressing this part of our common heritage. The Ad Hoc Committee for a French Canadian Heritage Day showed that it is possible to make a difference in your community without a lot of resources – it just takes one person to get the ball rolling. May we all continue to build on this new-found/re-discovered/energized sense of community and identity in a happy and healthy 2014! Great article Jim. Happy New Year to you and Alex.